Unlike my prediction for the episode to be quite slow, it continues to unleash the new world encountered by the grown up characters in a steady pace. Get ready to be surprised as things sometimes turn out to be different from what we expected them to be. The characters are all grown up with more darkness instilled inside them. Who is to be blamed when someone changes? Himself or the people around him? With all the screaming and chaos he’s caused in the hospital, Sun-Woo gets caught by some doctors before he’s restrained on his bed. He keeps screaming and struggling as Jang-Il watching him closely from the outside of the ward. Jang-Il can’t take the burden of guilt anymore and runs out of the hospital, breathing heavily before he calms himself. He then leaves the spot, and this time it’s Soo-Mi’s turn to watch him closely as he walks away. Jang-Il walks through the market and sees his father picking up some fish. He decides to walk off and goes unnoticed by his father, but which father doesn’t recognize his own son? Yong-Bae calls his name and he freezes for a while. He resumes walking, but his father manages to grab him. He tells his father about Sun-Woo waking up from his coma and Yong-Bae tells him not to meet Sun-Woo. 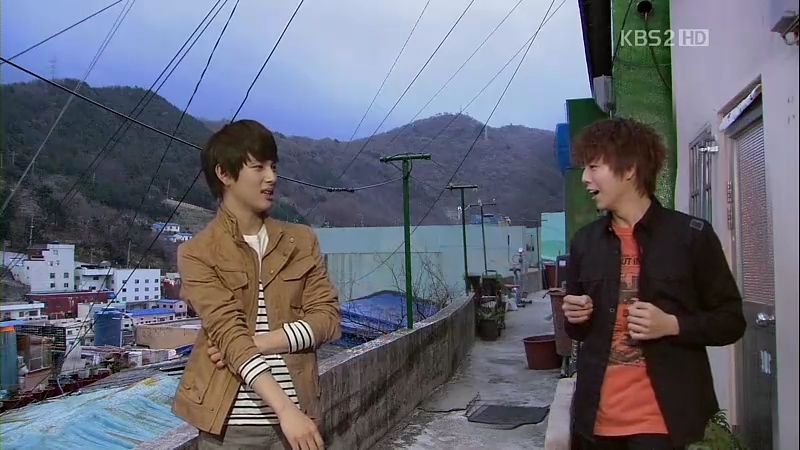 Jang-Il refuses to go back home and walks off as Yong-Bae is telling him not to worry too much. Which of course, he can’t take the advice to heart as he keeps dwelling in his self-sought guilt alone in the empty train. He promises himself not to go there again. The next thing, we get to meet the all grown up Ji-Won (Lee Bo-Young) who is kind enough to help a blind woman to cross the busy street. She smiles in happiness as she watches the woman walks off safely. 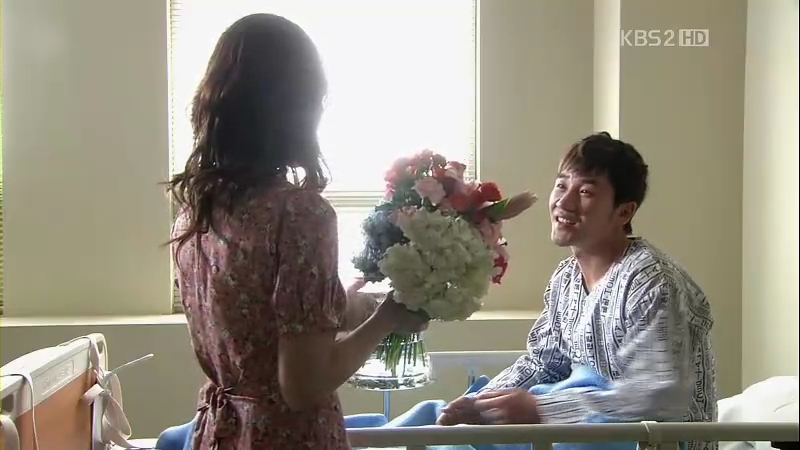 Soo-Mi’s voice wakes Sun-Woo up and he opens his eyes to see her bearing a bouquet of flowers for him. He rises and takes the bouquet in his hands, smelling and complimenting the pretty flowers. Soo-Mi asks for a vase and he points out to a glass vase, which suddenly fills itself with water. Creepy or magic? 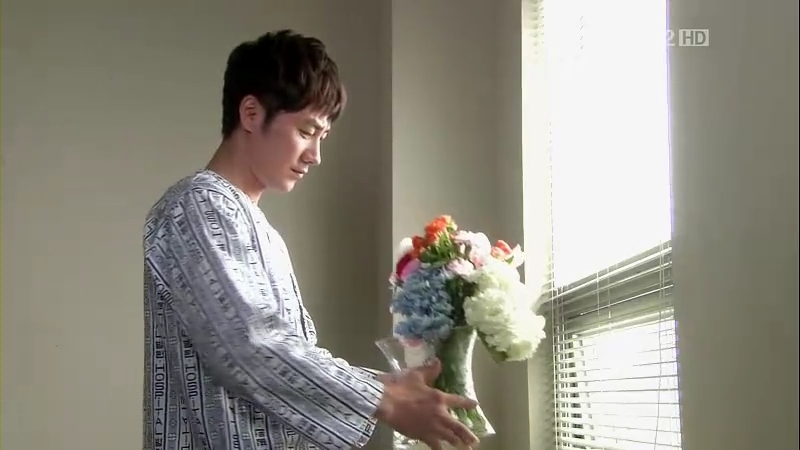 She brings the vase with the flowers and Sun-Woo offers to put it on the windowsill. He walks towards the window and put the vase, but unfortunately, it falls onto the floor before it breaks. And we got Sun-Woo actually waking up, still in the dark room and restrained on his bed. Soo-Mi is there and he asks about the flowers to her. She assumes he dreamed about it and goes out to call for the doctor. He tries to free himself but fails. Sun-Woo keeps asking about the flowers but no one is able to give him the answer. The next day, Sun-Woo looks a lot better and he has been transferred to the ward. Other patients are laughing over ‘Mr Bean’ showing on the television as he sits alone on his bed (I’m actually afraid he’ll get angry and do something to the television..). Geum-Jool (Park Hyo-Joon) comes to the ward, all smiling to see his friend recovering well. Sun-Woo asks for his shining necklace. Geum-Jool actually has it underneath his shirt and brings the necklace out. He passes a shirt to Sun-Woo for him to change into and gives him a pair of sunglasses. Sun-Woo refuses, saying that he doesn’t need them. 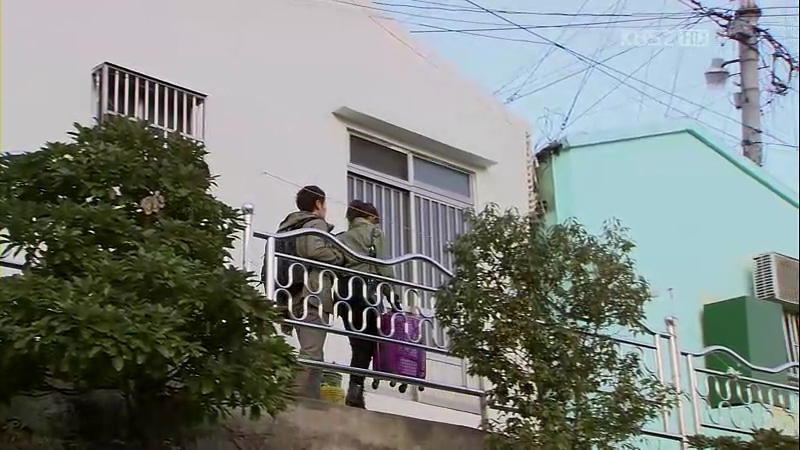 They walk together up the stairs to Sun-Woo’s house and he wants to go up by himself. Geum-Jool lets him to do so but watches over him carefully. 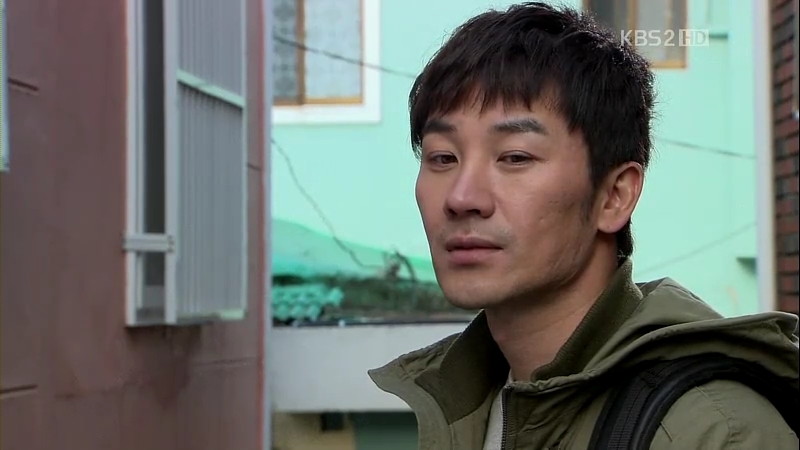 He reaches the rooftop house and Geum-Jool leaves him for a moment to bring Gwang-Chun and Soo-Mi over. Sun-Woo enters his house and he reaches for the photo frame, still in its original position on the desk. His face falls and he’s just about to go down the memory lane with his late father when someone knocks on the door. It turns out to be Yong-Bae and Sun-Woo reaches for his own neck momentarily before going out. Yong-Bae brings some food with him and expresses how glad he is to see him getting discharged. When he says Jang-Il worries a lot about him, he cannot remember who he is, except he was his classmate. 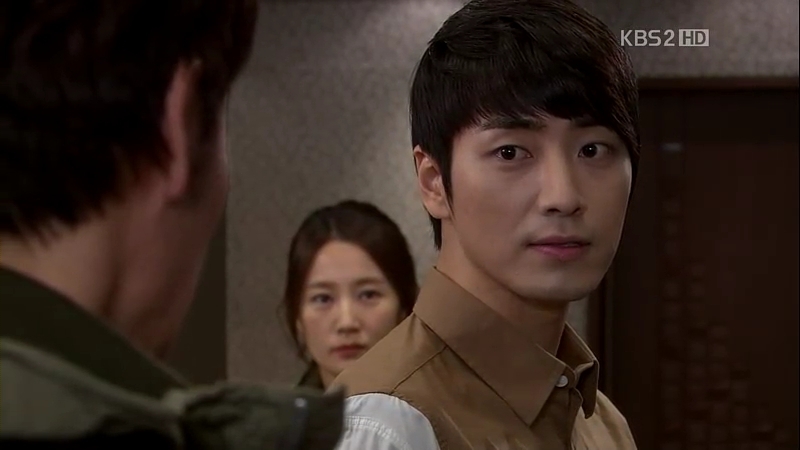 Sun-Woo tries to recall who Yong-Bae is and all he remembers is the man who went into his house. He starts to have headaches and wants to inform his father about it before realizing that his father has passed away when he was still a kid. Yong-Bae starts to panic and his voice shakes with guilt. He leaves him in a hurry as Sun-Woo asks innocently, “Why you’re crying, ahjusshi?” As he walks home, Yong-Bae is burdened with his crime and keeps crying. He continuously says that he’s doing it for Jang-Il’s sake and pleads that nothing bad will happen to his son. Cut to Jang-Il, who’s doing a flawless presentation in a seminar about the topic ‘Clear and convincing evidence’, referring to the issue of assisted suicide in medical practices. As he’s talking about the topic, the scene changes to Sun-Woo, who tries to drink something from the refrigerator. There’s a stark contrast in Jang-Il’s statement when he says “Taking someone’s life is never allowed” as compared to what he did to his friend. Sun-Woo at the same time reaches for the wrong bottle and spits the liquid out before rinsing his mouth with the tap water. He falls onto the floor with batted breath. 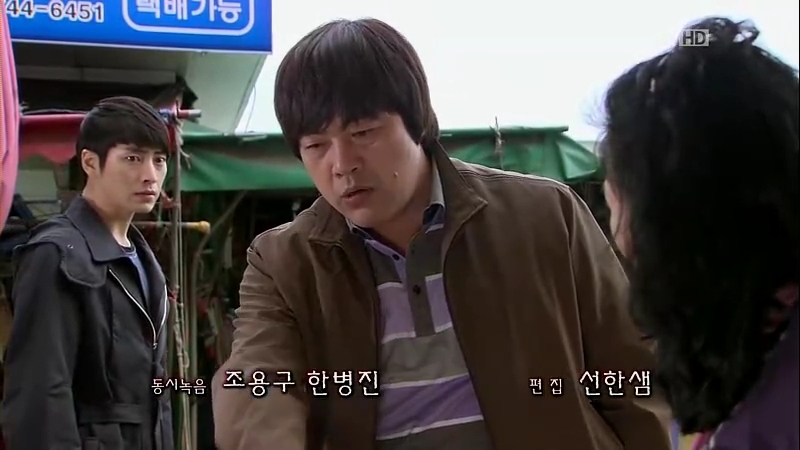 Geum-Jool, Gwang-Chun, and Soo-Mi are outside the house with some groceries for him. They discuss about getting a treatment for Sun-Woo’s blindless in Seoul but it’s a bit hard since there’s no one that they can depend on in the city. 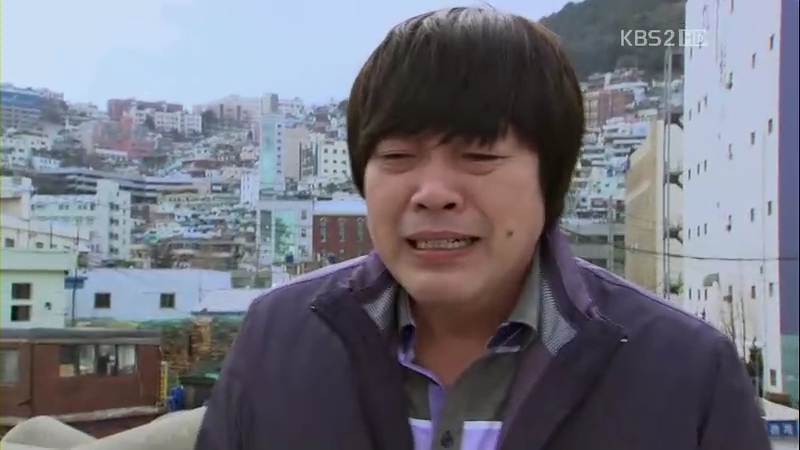 Soo-Mi still wants him to go to Seoul rather than letting him stay inside his house all day. Geum-Jool sees the package of food left by Yong-Bae earlier and Soo-Mi assumes that it’s from someone who came earlier. She asks Sun-Woo but gets no response from him inside. Why did you do that, Jang-Il? I thought we were friends..What was the reason you killed me? 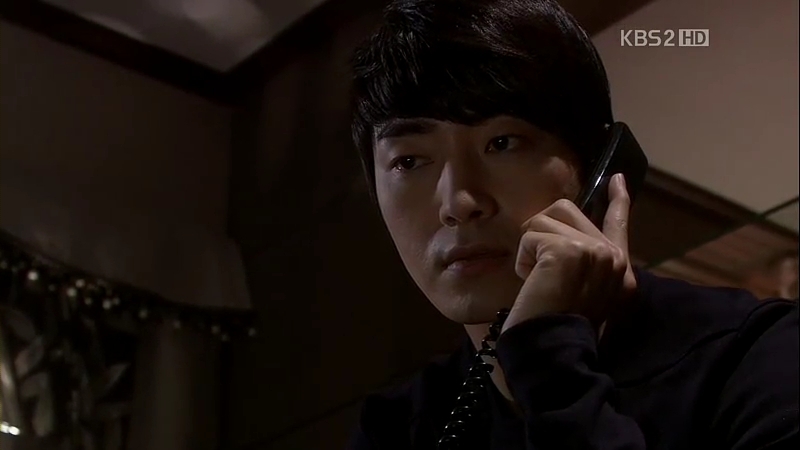 The telephone in his house rings and Jang-Il picks it up to find it’s Soo-Mi, who have found out his number from Sun-Woo. His expression hardens at first, but he quickly recovers from the shock. She asks about the contact number for rehab center for Sun-Woo but Jang-Il doesn’t have any. 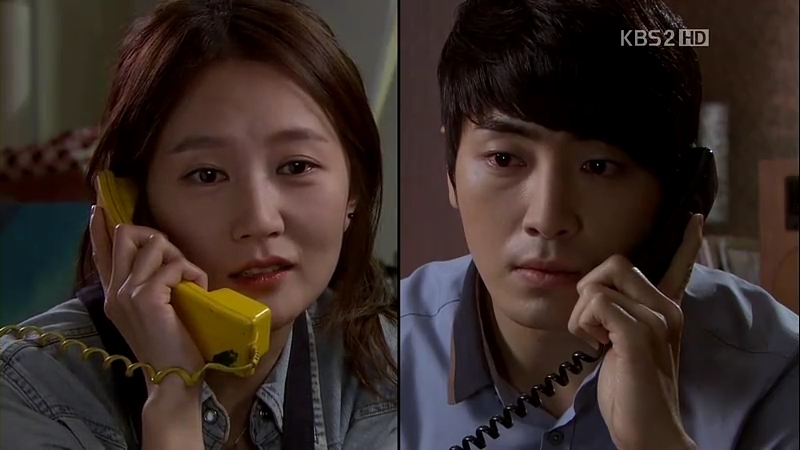 He is curious about Sun-Woo’s condition but she informs him that Sun-Woo only remembers his name and how close they were. She tells him not to feel sad over the incident and stops blaming himself for what happened. Another day passes by and Geum-Jool tells Sun-Woo about the cabin in the woods that belonged to his late father. He surprisingly remembers it and off they go to fetch some things as the landlord wants it to be demolished. 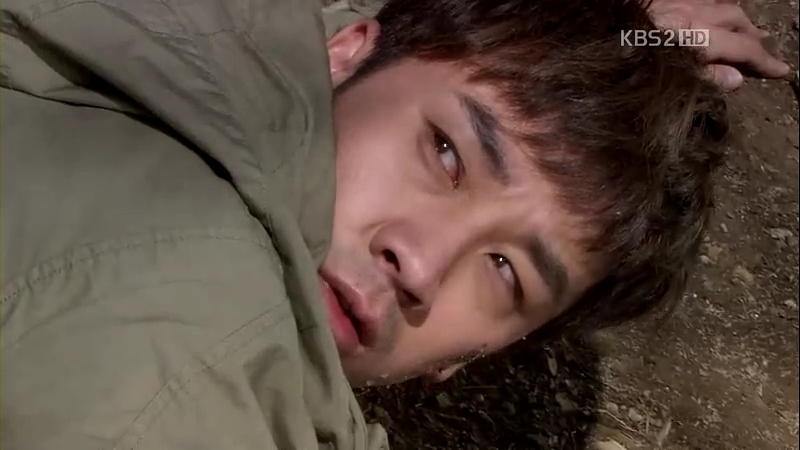 Sun-Woo starts to recall the promise he made with his father. He runs down the lane and falls after tripping on some rocks, just like what he experienced on the day he found his father dead. The memories start flowing in: from his father’s last moments with him to Jang-Il’s betrayal. He screams in agony after the truth dawns on him. Chairman Jin manages to know that Moon Tae-Joo is postponing his meetings to meet his son, but his location is still unknown. He leaves the villa and tells Yong-Bae to take good care of the place since he’ going to stay in Seoul for the time being. 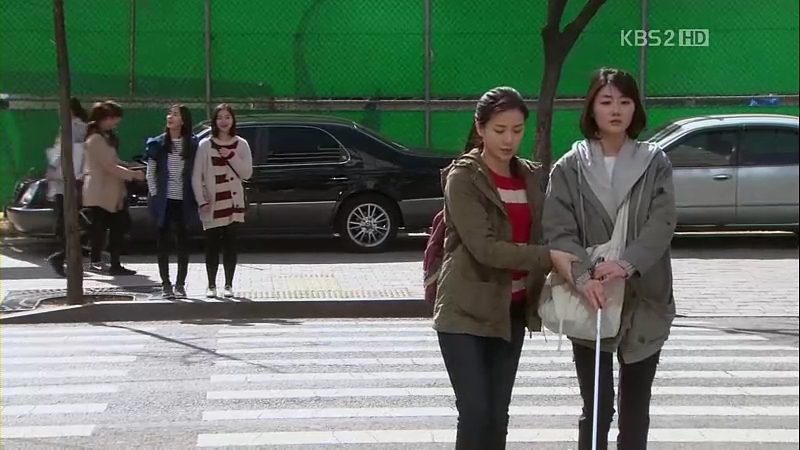 On his way to Seoul, he sees Sun-Woo with Geum-Jool beside the road as they’re trying to ride a cab. He easily recognizes Sun-Woo and recollects the memories of his youth. He was so in love with the woman Eun-Hye but everything began to change when she met Moon Tae-Joo. They started to be close and Chairman Jin felt a pang of jealousy over the two of them. Eun-Hye suddenly got pregnant and refused to tell him, but he overheard her talking with Tae-Joo, and eventually shattering the hope of building his life with her. Chairman Jin is so immersed in it for his eyes are brimming with tears. He stops by the beach and asks his secretary about the time when he was heartbroken. When asked back, he says that he erased all of them as they are just giving him burdens. After returning home from the cabin, all Sun-Woo does is nothing. He locks himself alone in the house, much to Geum-Jool’s worries. Soo-Mi cannot stand it anymore and chooses to break the door. They enter and start nagging Sun-Woo, but he doesn’t say a word. Gwang-Chun also comes to check on him but before he enters, Geum-Jool wonders why he didn’t see it coming for Sun-Woo before, if he’s truly a shaman. 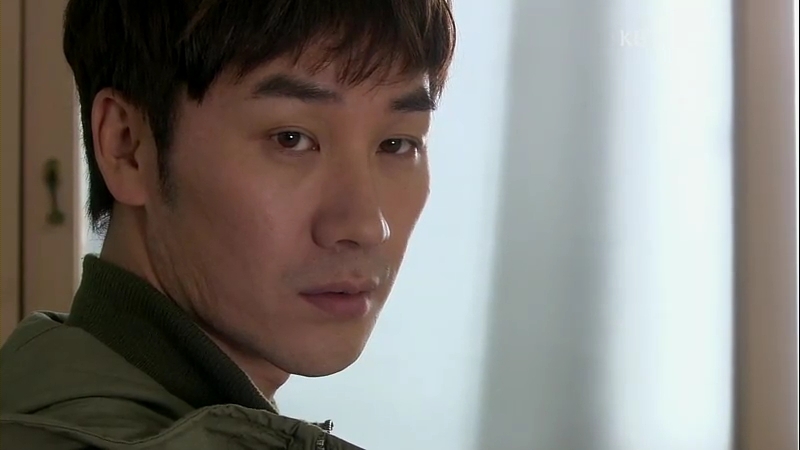 He just says it’s not his best time and starts to say things about Geum-Jool’s future, as in putting jinx on him. Soo-Mi cuts her father’s words and he proceeds to enter Sun-Woo’s house. The man is now snuggling under the comforter and doesn’t even response to Gwang-Chun. 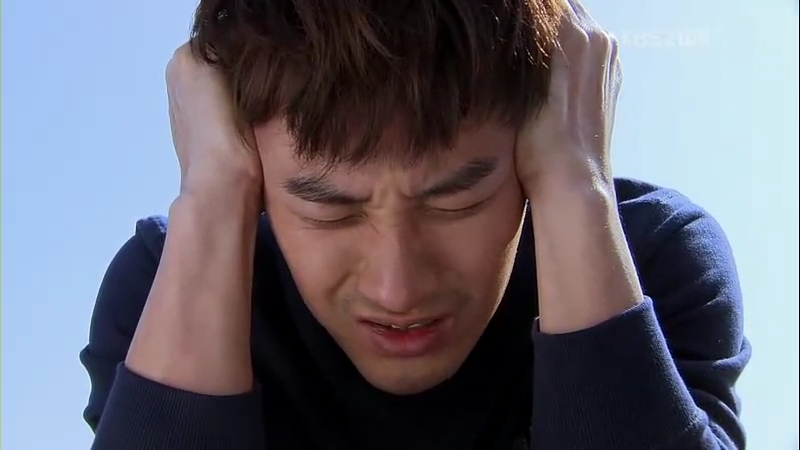 But then, Sun-Woo starts asking if Gwang-Chun knows something about his accident. 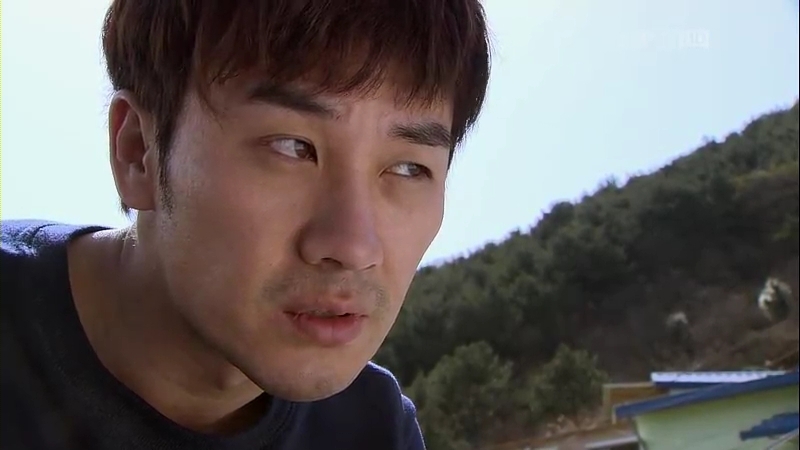 Gwang-Chun suspects he’s just feigning his memory loss and even checks if Sun-Woo is also pretending to be blind. 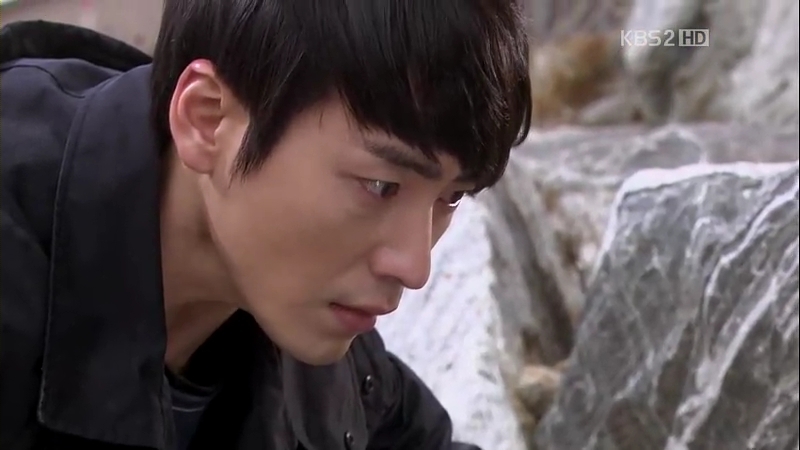 He reminds Sun-Woo that he’ll find the chance to do something even if he can’t do it now before being chased out. The scene changes into Mrs Ma going to an event of her friend and Yun-Joo following after her while giving sarcastic comments to her mother. Mrs Ma seems to be interested in joining an investment suggested by her friend. Jang Il, I remember everything. I think I know why you did that. I can’t forgive you. Even until the day I die, I’m not going to forgive you. 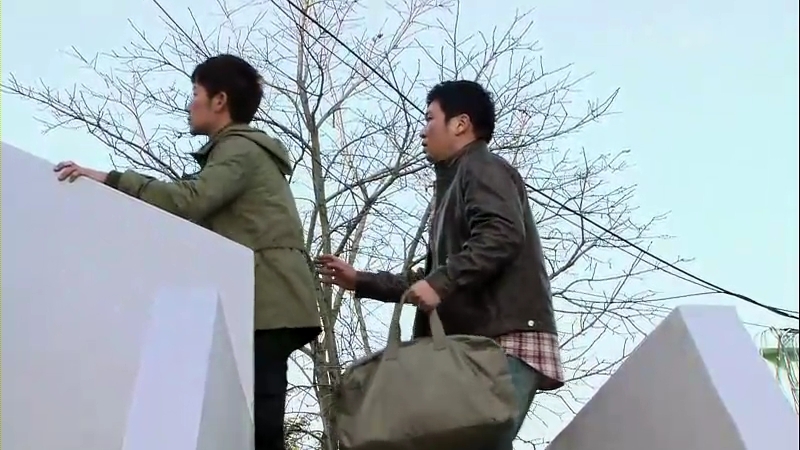 Cut to Jang-Il, who goes to find Ji-Won in front of the library. She’s fuming up because she was warned after signing for her friend. He offers to go to her department on behalf of her, but wants her to return his help with coffee dates. She doesn’t want to and wonders why he doesn’t go to the library anymore these days. She leaves and Jang-Il sees a banner about a movie. An idea comes into his mind, bringing smile to his face. 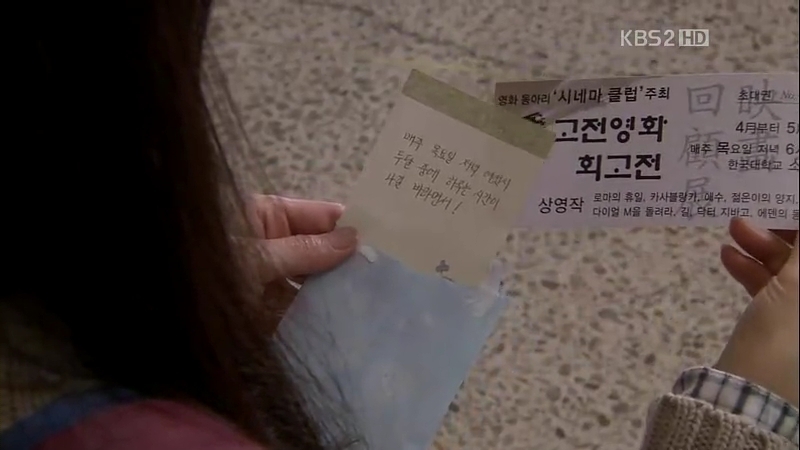 Later at the library, Ji-Won receives a letter from Jang-Il with the movie ticket. He waits for her with high hopes but till the movie comes to the end, she doesn’t turn up. He’s a little disappointed and leaves the coffee he prepared for her behind. He gets excited when his friend tells him that he got a letter in the mailbox at the library. He’s excited, thinking that it’s from ji-Won, but it’s not. 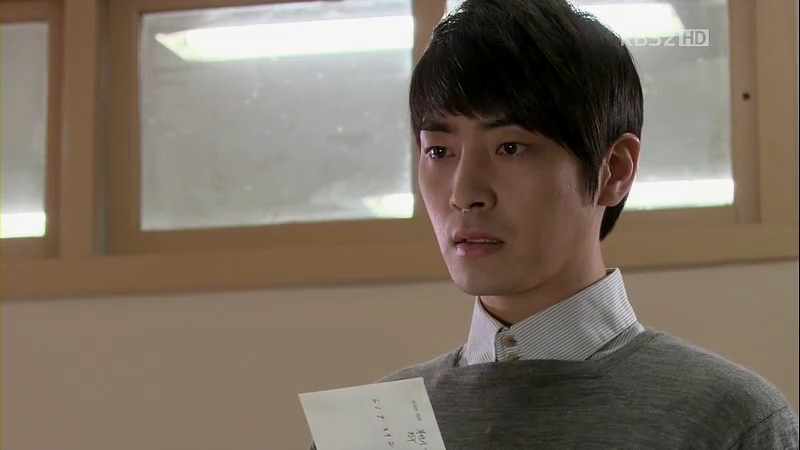 The letter is from Sun-Woo and he decides to read it. In the letter, Geum-Jool tells him to come over and visit Sun-Woo as he’s beginning to remember things about him. he walks away as he crumples the letter in his fist. After hearing about the investment from her friend, Mrs Ma decides to talk about it with Chairman Jin. She totally loves the idea of getting to know more people with potentials and keeps bugging him to invest in Tae-Joo’s business. His mood turns sour and he knocks down her rare china cup. She wails in frustration and Yun-Joo, knowing her mother so well, calmly tells Chairman Jin to comfort her. He apologizes and promises to buy a new set for her. Ji-Won is still juggling few part-time jobs currently and this time, she’s working at a nursery. She’s being ‘bullied’ by the active kids and finds herself worn out in the end. She decides to freshens herself before resuming her work at the library and after that, Jang-Il drops by. He takes over her work and starts to arrange the books for her. Ji-Won returns and she’s surprised to see him already completed her work. As to repay his deed, she goes to the movie and he’s surprised to see her finally coming there. However, she’s too tired after her long day and falls asleep on his shoulder. He looks at her and smiles happily. The movie ends and everyone is going out except for the two of them. Soo-Mi is thinking about what Geum-Jool said to her about Jang-Il. 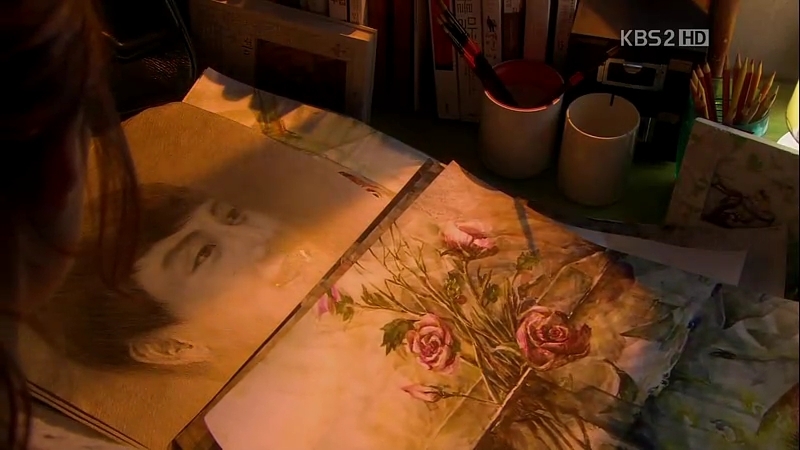 She takes a look at the portrait of Jang-Il she painted and decides to meet Jang-Il personally. Ji-Won finally wakes up in the middle of the next movie and Jang-Il laughs when she starts worrying that she might have drooled on him. Don’t worry honey, he won’t mind at all! And the next day, Soo-Mi is already in her best outfit and riding the train to Seoul. She waits for Jang-Il outside his campus and greets her excitedly, but he’s not sharing the same level of excitement to meet her. 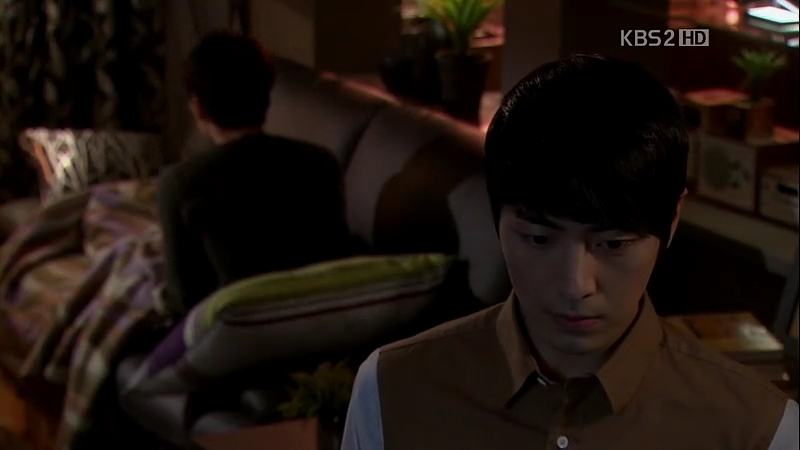 He’s rushing to go somewhere and she tells him about Sun-Woo’s condition. Soo-Mi wishes Jang-Il can go back and stays beside Sun-Woo to help with his recovery. Soo-Mi tries to invite Jang-Il for a cup of tea but he quickly ditches her for his next agenda, leaving her alone. As expected, he’s off to meet Ji-Won and Soo-Mi watches as he gets chummy with her, displaying affections that he’d never show to her. She goes straight to Sun-Woo’s house after she arrives at Busan to find him practicing with his kendo outside. Soo-Mi is glad to see him behaving more like his old self and tells him to go to Seoul. He agrees to go as he has to do something to keep on living. She suggests the three of them go to Seoul together to find a room for Sun-Woo, but he thinks it’s better for them to stay for a few days at Jang-Il’s place, much to Soo-Mi and Geum-Jool’s surprise. Another surprise: Jang-Il agrees wholeheartedly to the suggestion, ready to accept Sun-Woo back into his life. Although his voice says he’s wiling to do so, his eyes remains dark and reflects his real feelings. I was as good as dead. If I have the will to live again, it’s all for you. I restarted all the will and emotions related to you. I try not to hide anything from you. If your feelings towards me ever change, I only hope that it happens for the best. Then I will just have to go back to my place. But if you don’t change, I will protect you with love that I felt for you at first. Unless you allow it, I will never look at another man. 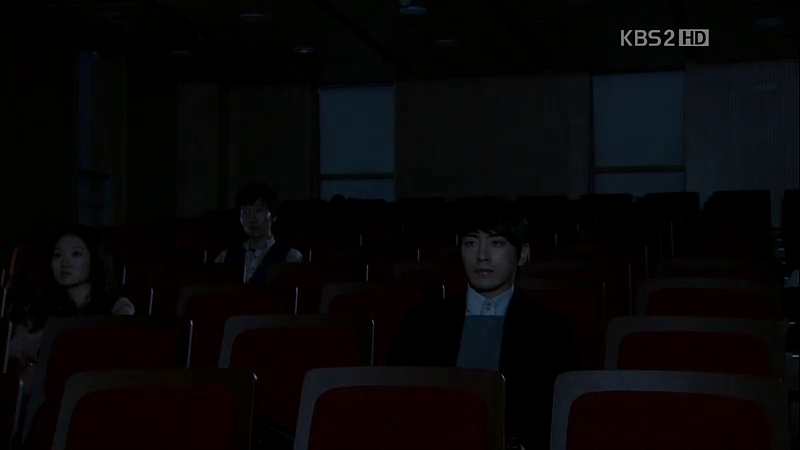 Jang-Il is waiting for his friends to arrive and he braces himself when he opens the door. 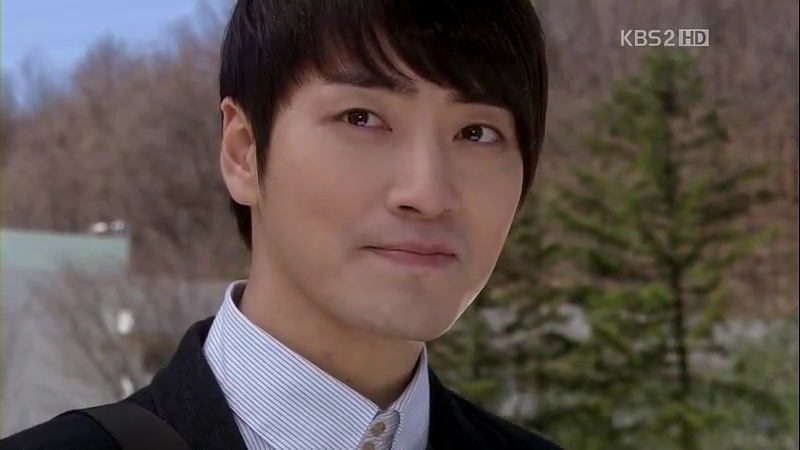 Upon seeing Sun-Woo in front of him, he breaks into a plastic smile, welcoming him into the house. Sun-Woo asks whether he’s really Jang-Il as he thinks he has changed a lot. Sun-Woo volunteers to sleep on the couch as it will be easier for him to go to the bathroom. Soo-Mi promises that it won’t take long until they find a room for Sun-Woo. Jang-Il, between his clenched teeth, says that Sun-Woo doesn’t have to thank him. He doesn’t even budge to help Sun-Woo when he falls down. Later that night, Jang-Il is still awake, studying in his room. He decides to walk around his apartment and takes a look at the sleeping Sun-Woo. He’s not asleep yet and Jang-Il offers him some milk. The two of them sit in the living room and Sun-Woo wonders when was the last time they met. Jang-Il claimed it was the time when he first went back to Busan and they had drinks together. Jang-Il wonders if Sun-Woo remembers anything from the accident, but he can only recall it was a cold day. Sun-Woo feels like everyone is fooling him as he couldn’t believe what people said: he was on his way to the police station when he got into the accident. Jang-Il assures him that no one would fool him and tells him to go to sleep. Unknown to them, Soo-Mi overhears their conversation and the three of them spend the night pondering about the matter. Moon Tae-Joo has boarded the plane to Korea. He decides to take his son to U.S. and grooms him to be the best man in the world. 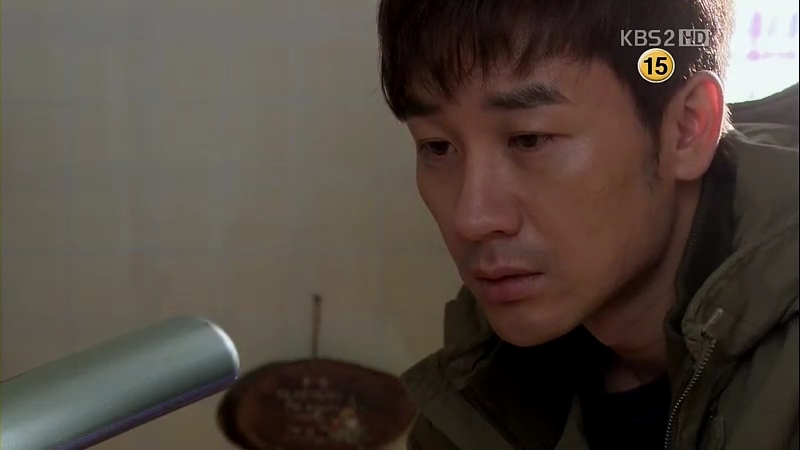 The three guests are left in the apartment on their own as Jang-Il has a test on that day. Soo-Mi takes a look around the house and Jang-Il’s room. She knows that the house must costs Jang-Il a fortune and they think Jang-Il’s father must have lent more money. However, the loan sharks never went to the school looking for Jang-Il. Sun-Woo feels like something is amiss. After having their breakfast, Soo-Mi and Geum-Jool bring Sun-Woo to the rehab center and lets him familiarize himself with the surrounding. He walks around the building as Ji-Won is also there, reading a book and her voice amplified in the whole place. Sun-Woo walks past her and she sees him. Ji-Won feels like she knows him from somewhere and remembers him as the boy who helped her. She runs after him and greets him cheerfully, thinking he will recognize her once he sees her. The reality shocks her: the perfect boy back then is now a blind guy. Am I the only one who finds this episode so entertaining? The transition and the change of actors/actresses gives me something to worry about as there’s possibility that the adults can’t connect with the younger counterparts. Luckily, the transition goes almost smoothly, and I find myself more invested in the story. When the characters are still teenagers, they have the limitations to their evil side; no matter how wicked they try to be. Probably because of the pure image of the teenagers themselves, they seem to be kind at heart. But with the teenagers growing up into young adults, their characters become deeper and I love how dark they can be when the time comes. 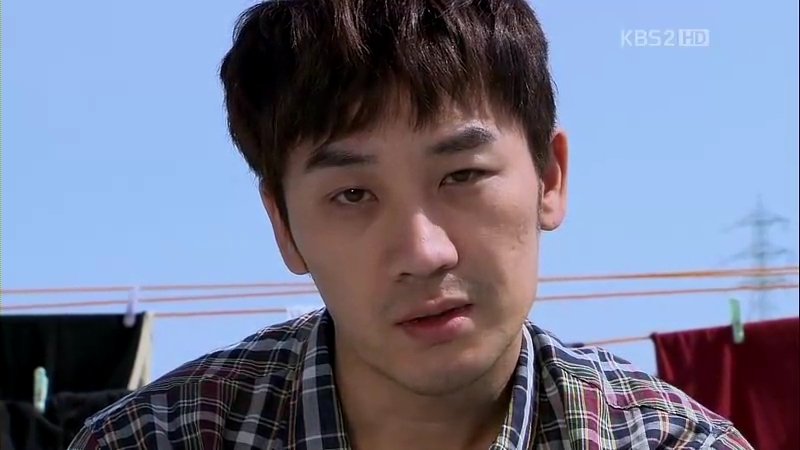 I got to say that Uhm Tae-Woong nails it perfectly for his portrayal of Sun-Woo. Everything feels so right! At first he does finds it hard to accept the reality, but he’s fast enough to grab that he needs to move on in order to redeem his lost life. He is the person with the least ability and evidence among the characters, but he’s the most mysterious among them with no one really knows what he’s thinking about. We don’t really know what’s behind those wandering eyes as he’s hiding behind his weak state, but his passion in finding the reality is igniting inside him. He’s trying to instill some guilt slowly in the people who made his life miserable. He’s doing it so subtly and innocently. For now, it’s clear that Sun-Woo isn’t going to let go of the matter easily and he’s on for the revenge. I love how nonchalant he seems to be at times and to think that he’s possibly trying to deceive people is just entertaining. I’m glad he’s not going down the saint route and proves that he is a human being. We all know that Jang-Il’s best friend is the phone, because he’s always seen with one. I wonder how it will be when he gets his cellphone afterwards. Jokes aside, he’s the character with most dynamic in the episodes before this, but in this episode, I find his character being overshadowed by Sun-Woo a bit. Probably because this episode is mostly about Sun-Woo, but there are some details that make me adore him. Notice how bright he can be when he is with Ji-Won and how dark his expression is when he’s thinking about Sun-Woo, like the capture above? Well..our Mr Goody Two Shoes isn’t shaken to his core yet and I’m looking forward how he’s going to react after he finds out about Ji-Won and Sun-Woo. Soo-Mi is like a chest full of secrets that people don’t even know about, whether about herself of others. She’s probably one of the characters with the greatest advantages over others if we are to compare the knowledge she has about people around them. If she’s to destroy Jang-Il’s life, she can do it almost effortlessly, but he’s lucky because he’s her object of obsession. I don’t dare to say it as love, but it might be one as she herself is a complicated person and she might have her special ways of showing her affections. Complex and complicated, but I adore her character. She cares for Sun-Woo out of her guilt and sympathy and the friend values her, but in contrast, the person she cares out of her love and admiration doesn’t even look at her. The journey is still long, but I’m already which path she’ll take: between protecting Jang-Il because of her love or destroying him because of her hate. And…I am expecting Ji-Won to be included in the issue soon, not just because she’s the object of affection of the two men but she might find out something important about them. 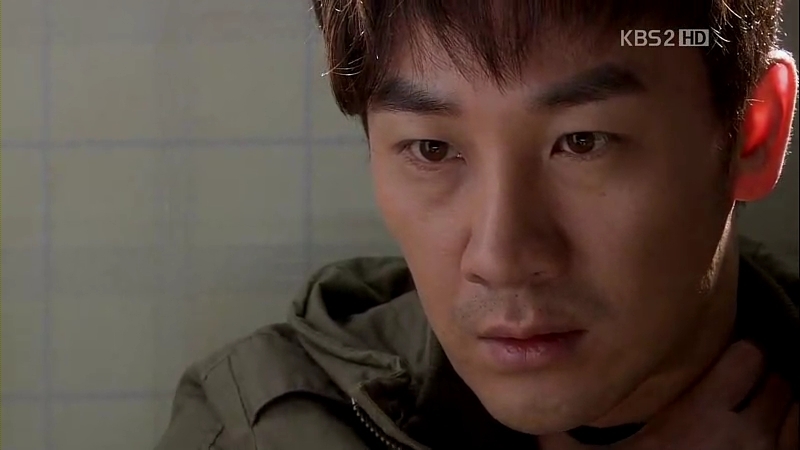 everytime he look at Sun Woo, I keep worrying if he would hurt him the second time… I know, Uhm Tae Woong Rocks as Sun Woo… Though I find him abit over the top when he is the hospital. But after he become sane, He really nail it and bring Sun Woo’s character more depth. But Lee Joon Hyuk nail as Jang Il, too… He is the most interesting character in my eyes… The writers has develop his character more subtle than any character in this drama so far, even more than Sun WOo.. yet his action remain mystery…. because I can’t predict his thought and action either, just like Sun WOo..
I’ve been watching this episode. I doubt, if sun woo is blind. and whether he knew that jang ill was trying to kill him?? muchadoboutlove, you gave me the inspiration to make a recap of this drama. so I’ll decide to make it with language of my country. He’s really blind, but the blind people have sharper instinct to their surroundings, so Sunwoo might be able to know what the person beside him is feeling on that time..plus, he already knows the true colors of Jang il..
What I like about this drama is that almost everybody gets to know important things quite early, and the plot isn’t dragged with the memory loss thing. It’s revealed that SuMi’s father was at the scene of the crime for episode 2, Jang Il finds about it soon too, Sumi finds out from her father as well, the characters aren’t kept in the dark about what’s happening. Still, they only have some parts of the puzzle…otherwise it wouldn’t have been interesting, and life is always like that too. Allowing SunWoo to remember everything so quickly was a great move from the script-writers, and his intelligence shines as he puts everything together. I can make some predictions about the plot…but have no idea how they’ll get there! And it’s even more intriguing because of the beginning of episode 1……..So..yep, that’s one of the many things I like about this drama!